JUST ARRIVED - LOCAL PA TRUCK!! 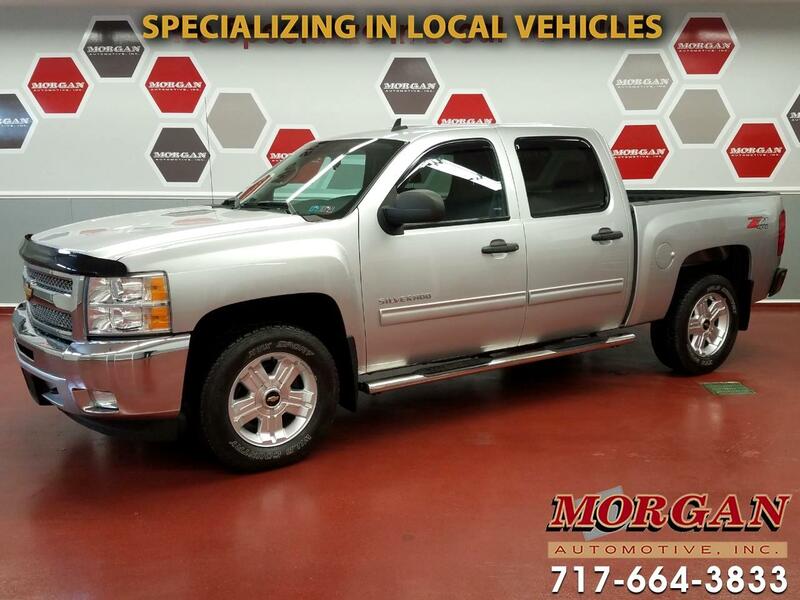 NICE CONDITION 2012 CHEVROLET SILVERADO LT CREW CAB 4x4****CLEAN 1-OWNER CARFAX****This a great value full-size truck that comes nicely equipped with fixed running boards, bedliner, tow package with hitch and 7-pin wiring harness connector, cruise control, rear parking aid, traction control, power adjustable pedals and AM/FM/CD/XM radio and Bluetooth for hands free controls and phone calls. Has a new PA inspection, fresh oil change, and the tires and brakes are in very good condition.Trades are welcome and financing is available.